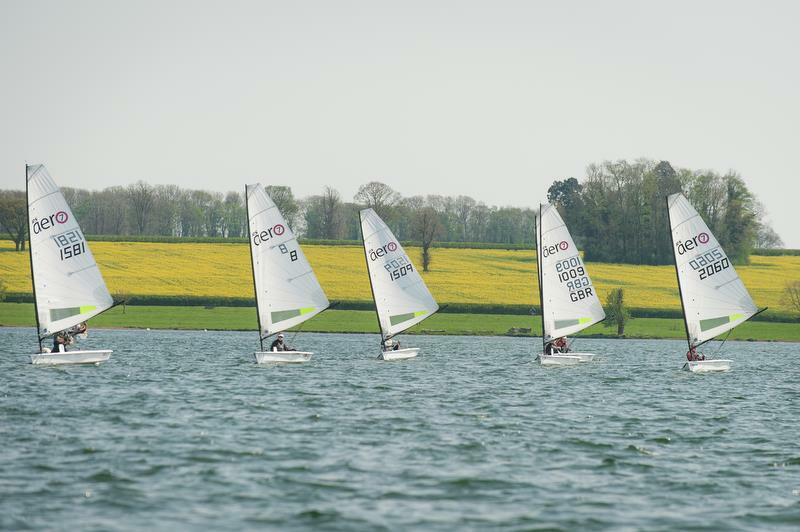 The RS Aeros will join the annual RS Sprint Championship again at Rutland this April, an exciting weekend where your racing skills will be put to the test at Rutland SC, one of the best dinghy racing clubs in the UK. The local RS Aero fleet have continued to grow in size and are keen to take part. We will join for just one day again, the Saturday only. Whilst we do already have an existing Spring Champs at Island Barn (West London) on this day this is for locals, neighbours and those to the North, so the events will not impact on each other. RS Aeros are Saturday only and RS Fevas are Sunday only. The RS100, RS200, RS300, RS400 and 2000 Classes will sail both days. So if any of our younger sailors or family members fancy doing the Saturday in an RS Aero and the Sunday in an RS Feva, then you can make a weekend of it! Online Entry & Info & NoR here, via the RS Classes event website. Entry Fee: £25.50 Rutland members £5. Rutland SC members to enter online, but to pay their entry in cash at registration. *The plan is to run Class racing sprints for two fleets to create good fleet sizes. If it is light these will be 7 & 9 rigs, if it is windy these will be 5 & 7 rigs. If you only have either a 5 or 9 rig and hope to attend please contact Peter Barton and we will see what we can arrange.